If your next Business Proposal is for an important client, and you’re working under pressure to get the document submitted on time, it’s easy to get confused and forget something which determines whether you win or lose the bid. One way to avoid this is to use a proposal checklist to identify each requirements in the Request For Proposal. Each Chapters / Section has intro text. Bullets, Diagrams etc print Correctly. Even when you have finished all these steps, you can still trip up if you don’t have material to print, assembly and post the Proposal. What else is needed to make sure each Proposal is submitted on time? About the Author: Ivan Walsh provides business proposal writing tips, tutorials, and templates on the Proposal Writing Course every week. 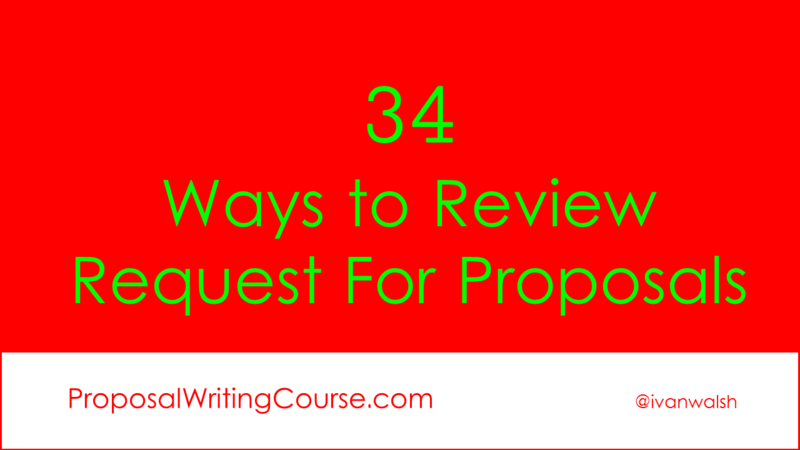 Get his free proposal writing newsletter here.